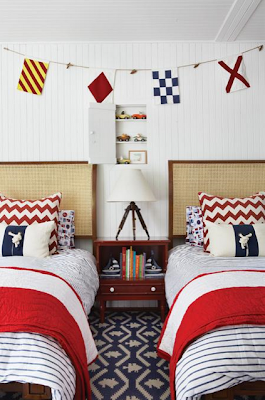 This room designed by Anne Hepher is a nautical favorite. 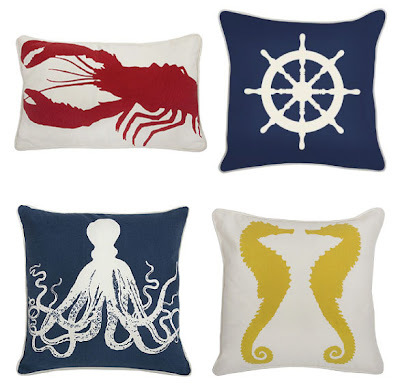 Stop on over to Buy Modern Baby today to read my guest post on making a nautical themed room modern and hip just with a few pillows accents. Thanks for the awesome post Andrika! Love this room...heading to read your post!! I love this room. Any idea where the bedding can be found? The blue striped duvets are Land of Nod.